A few years ago, browsing the Internet on your mobile phone was a real exercise in patience. Faster web surfing was possible only via the broadband connection on your desktop. But thanks to the new age smartphones such as the iPhones, Samsung Galaxy phones and those with 3G and 4G LTE connections, browsing on a mobile device is fast and fun. Mobile browsers available today display most websites, offer plenty of useful features such as keyboard shortcuts and page zoom, besides supporting different operating systems. While most devices are run on the Android OS or iOS, devices powered by Windows Mobile and Symbian S60 operating systems also have faster mobile browsers now. Since mobile browsing has become an indisputable part of one’s life, it is imperative that one chooses the browsers wisely. Google Chrome for mobile is highly recommended for those who use Chrome on their desktops. 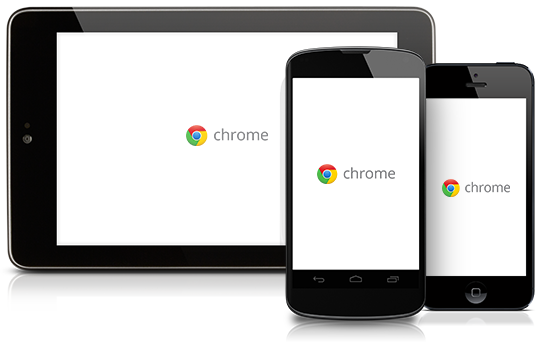 Fast and free, Chrome offers a user-friendly interface that allows for seamless web browsing. Similar to the PC version, users can also surf the Internet incognito. By installing apps and interesting web themes available at the Chrome Web store, this browser allows users to personalize their mobile browsing experience. What’s more, on logging in, Chrome for mobile also syncs bookmarks, saved passwords and the custom settings of the users PC browser, thus allowing for a smooth and seamless Internet browsing experience. Opera Mini Mobile is an ideal browser for all users as well as for users with smaller data plans. A super fast browser, the Opera Mini Mobile supports bookmark syncing, manages passwords and saved pages and more without chomping huge bytes of your data plan. Unlike others like the Opera Mobile, this is not a full web browser. Instead the web content is compressed before it shows onto the users phone, nonetheless it is fast and goes easy on the limited data plan. Opera Mobile is touted as the best browser for 4G phones and heavy social media users. The full featured version of this browser allows for super fast browsing across the Internet and is integrated with support for Twitter and Facebook, thus making it an ideal browser for social media junkies. Dolphin Browser is suitable for those who are new to mobile browsing. Designed especially for touchscreen devices, the Dolphin browser also comes with plenty of interesting add-ons for fun. This browser lets users install a password manager as well as a translator without having to exit it. Users can use voice commands to update their status, and search for data on the web and create bookmarks using the Sonar feature. Besides these, there are plenty of top quality browsers including the standard Android browser, Chrome Beta, Dolphin Browser HD, Firefox beta, Boat browser, Skyfire and Ninesky.